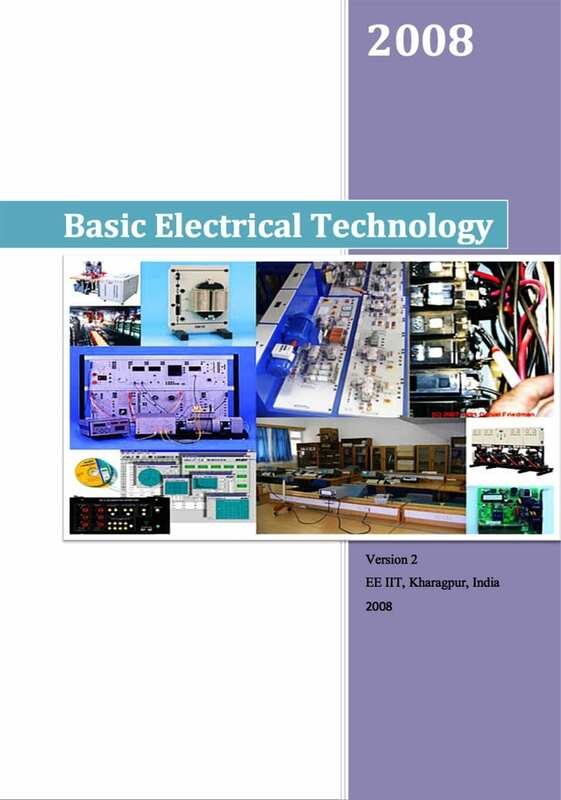 Welcome to this course on Basic Electrical Technology. Engineering students of almost all disciplines has to undergo this course (name may be slightly different in different course curriculum) as a core subject in the first semester. It is needless to mention that how much we are dependent on electricity in our day to day life. A reasonable understanding on the basics of applied electricity is therefore important for every engineer. Apart from learning d.c and a.c circuit analysis both under steady state and transient conditions, you will learn basic working principles and analysis of transformer, d.c motors and induction motor. Finally working principles of some popular and useful indicating measuring instruments are presented. The course can be broadly divided into 3 major parts, namely: Electrical circuits, Electrical Machines and Measuring instruments. The course is spread over 10 modules covering these 3- parts, each module having two or more lessons under it as detailed below. At the end of each lesson in modules a set of problem is provided to test the readers understanding. Answers to these problems are located therein. This lesson highlights conventional methods of generating 3-phase, 50 Hz electrical power, its transmission and distribution with the help of transmission lines and substations. It will give you a feel of a modern power system with names and function of different major components which comprise it. This module consists of seven lessons starting with the fundamental concepts of electric circuit (active and passive) elements, circuit laws and theorems that established the basic foundation to solve dc network problems or to analyze the voltage, current and power (delivered or absorbed) in different branches. The study of DC transients is taken up in module-3, consisting of two lessons. The transients in a circuit containing energy storage elements occur when a switch is turned on or off and the behavior of voltage or a current during the transition between two distinct steady state conditions are discussed in next two lessons. There are six lessons in this module, where the various aspects related to ac circuits fed from single phase supply. There are only three lessons in this module. Only the balanced star-and delta-connected circuits fed from three-phase ac supply. In this module there are two important lessons: Simple magnetic circuits and Eddy current and hysteresis losses. Transformers are one of the most important components of the modern power system. In this module having 6 lessons, various aspects of a transformer are explained and discussed. 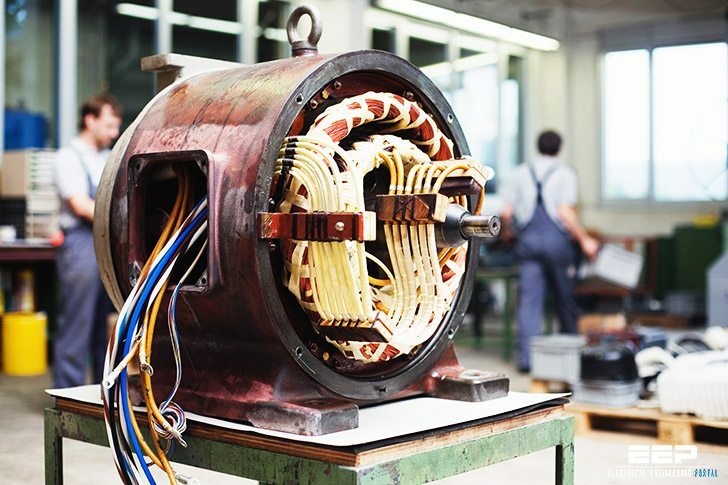 In this module consisting of six lessons, the various aspects of the three-phase induction motor are presented – concept, construction, principles, equivalent circuit and power flow diagrams etc. This module discusses the important construction features, principle of operation of DC machines. The induced voltage in a rotating coil in a stationary magnetic field is always alternating in nature. The functions of commutator segments and brushes, which convert the AC voltage to DC form, are explained. The magnitude of various electric signals can be measured with help of measuring instruments. These instruments are classified according to the quantity measured and the principle of operation. The study of DC and AC instruments for measuring voltage, current signals and subsequently induction type energy meter, are described in this module consisting of three lessons. Wow, it is actual basic engineering funda and given in single place, thanks for sharing your work is appreciated keep doing.